​Magnetite & pyrite attract & ground the acceptance & integration of higher frequencies without overload. It activates & unifies co operation, calmness & order into the chakras, spinal system & the subtle & physical bodies. Pyrite is a very positive, happy & expansive stone capable of transmuting & clearing heavy, burdensome, confusing & depressive states. It has an uncanny ability to trigger insights, 'new angles' of thought & encourages decisive action out of disruptive energies. It acts like a quiet guide introducing potential solutions into your thought processes. Healer's gold is an earth element & stabilizes communication with counselors & higher guidance...the volume seems to go up & out providing a new level of connectedness & security. This is a highly helpful & supportive companion during change, increased creativity & transformation. Iron is one of the key elements needed for body maintenance & healing. It's deficiency is listed (World Health Org.) as a primary issue in our world. This elixir does not replace iron or medical attention. It can however strengthen the resonance of iron within the body. Hematoid Quartz has been known to help relieve pain, bring tranquility, emotional calm, stabilize circulation energy, clears 'fogginess' in thinking & action, assists in manifesting dreams & is supportive in integrating & healing the 'shadow self'. This is an uplifting resonance encouraging one to 'feel good & even better'. A great companion for mentally active individuals & the honing of brain function clarity. An increase of grounding frequencies keeps you in the 'now' & receptive to what you are drawing to you while maintaining centeredness, strong intentions & a keen focused direction. Feeling, caring, vulnerability, positive emotion & alignment with the radiance of love. Love is a true emotion exhibiting both positive & negative outcome! If one dismissed the various reasons for earth life, there would always be one that remains. It is the deep desire to feel, to love & become more of oneself. I believe it's lack is the basis for negative action & its illumination & abundance comes from the willingness to awaken to its majesty. Although you may disagree with the last statement, if you are reading this, I invite you to explore the unique gifts Hiddenite has to offer. Take a breath, touch the name & ask for its essence to touch you. 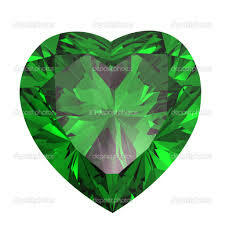 Hiddenite takes you to the 'oasis' of your heart, the best of who you are & being fully alive. It is the wonder of being open, soft, yet strong while knowing you can distinguish the 'right' expression without becoming helpless or less than. It lifts the scars of the past replacing them with new, revised & healed levels of safety, openness, gratitude, creative desire & the willingness to give & receive love without need to calculate, control or manipulate. Kambaba is a 3 billion year old fossilized jasper capable of positive influence within the DNA. It goes directly to the inner foundations to clear, balance & if needed assist you in restructuring beliefs & outcomes. Excellent for grounding, jangled nerves, cleanses toxins & helps dietary function stabilize. Beneficial for plants & gardens, self confidence, initiating 'the new' & aligning with inner purpose. Due to the fossilized resonance this stone essence is beneficial to the lungs, oxidation in the body, aligns to the oldest part of the brain function & with the natural electromagnetic earth patterns encouraging total wellness. Superb for expanding meditation, positive dreams & sleep states when misted upon your pillows. A gentle powerful friend of transformation & self healing. Kermesite encourages & expands the assimilation & channeling of positive energy & life force. Excellent for healers & healing modalities inclusive of Reiki, color & sound therapy, massage & meditation. One of its signatures is the increase of draw-able energy into & through the hands & feet. It stimulates the psychic body & its ability to absorb, integrate & distribute accurate perceptions from higher counsel, guides & the angelic realm. Kermesite acts as a harmonizing blender of the energetic bodies into the physical allowing for more awareness, understanding, development of spiritual qualities & talents without experiencing crisis or overload. Due to this blending there is less tension during change with an overall sense of well being. Energy increases when misted upon hands & feet. This stone evolved from partially oxygenated stibnite. Due to its vibrational rate, Kyanite is an excellent tool for rapid download & translation of information. 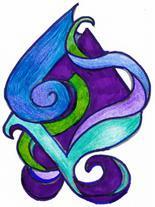 Its frequencies & color (blue) partner it with the 5th chakra of communication. The throat chakra & Kyanite work in tandem to enhance (with your choice) positive express throughout each of your chakras, energy fields & bodies inclusive of your psychic body. The Black Kyanite weaves layers of protection, shielding & clarity into & through the auric field & your entire consciousness. It brings strength & a deep vitality to your work, creations & growth potential. A highly recommended essence for all types of research, exploration, self healing & development at all levels. It provides you with a cushion alleviating vulnerability during change. Broadens all types of relationships both on this & other planes. A truly gentle yet powerful resonance in support of calmness, enthusiasm, heightened productivity, lucid dreaming & with intention past life recall. Works well during the crafting & manifesting of your dreams, desires, intentions & choices while keeping your focus clean & direct. The stone does not require cleaning thus it & the essence assist in dissolving lower vibrational influences wherever it is used. This stone draws forth one's inner balance of the creative feminine. It's energy was imprinted in the latter days of Lemuria as a conduit to center, clarify & expand frontal brain patterns, balancing of masculine/feminine qualities & the ability to communicate & express through the vocal cords & primary chakra system. This resonance strengthens, expands & brings into synergy one's intuitive talents, mental clarity & compassion. Larimar encourages a calm, peaceful approach to the understanding & breaking of negative bonds, attachments & limiting behavior while sustaining the gathering & active use of will, personal power, decisiveness & forward movement​. It is an excellent creative yet gentle stone of harmonizing the 'God/Goddess' within For so long one was either strong or weak, bold or withdrawn & life depicted as black or white. Love, clarity, peace & resolution come from the 'potential of in between & beyond'. An essence in support of the healing & release of separateness while encouraging you to develop your individual uniqueness. Assists in bringing electromagnetic field into alignment... strengthens neck & spinal column, helps to dissolve pain, muscle tension, energizes body, enhances focus & meditative practices. Supports natural balance & function of the body systems, glands, endocrine system. Due to its harmonizing abilities is excellent for dissolving anger, depressive states, grief & uncertainty. Improves optimism, curiosity, creativity, stability, positive will, clarity & inspiration. Helps to maintain consist energy flow & levels. Can be misted upon entire chakra system & used in similar fashion to magnetic bracelets or bands. ​All obsidian is protective, draws forth information & assists in clearing away misconceptions & aligning one with their personal truths. This stone reflects a silver/grey lace or stairway pattern & the essence works as it appears taking one deep within & upward into new realms of perception, thought & linking with your higher consciousness. It is especially powerful for it integrates what you access via the heart chakra enhancing compassion & allowing for self healing in profound ways. Due to its protective qualities vulnerability is minimized encouraging you to reach deeper within & seek more of your real being... some times while doing this process one has to move through current energies bringing about emotional experiences having been dormant or subdued. With Midnight Lace the energy is presented clearly, without judgement in order to evaluate & extract only what is pertinent & empowering. This prevents one from getting 'stuck' in the sticky stuff or what is called 'the narrows'. It is one of the best to utilize for delving within. If you like working with or are drawn to obsidian, you will thoroughly enjoy the radiance of this some what rare yet highly evolved energy. A truly joyous & supportive friend upon your path of growth & becoming more. An amazing compliment and tool in maintaining a conscious connectedness to both worlds. Moldavite is a crystallized meteorite carrying the expansive energies of rapid transformation, awaking to other aspects of self and the realms beyond. It provides a resonance so constant and gentle when ready for it... an old friend that aligns you with your total self. A broad statement and very powerful but when you hold/wear the stone or hold/mist the elixir through your auric field its as if a missing link has been replaced. For those of the star nations, being here is a joyous choice repeated through many lifetimes. It is a planet like no other with unlimited potential if one desires to explore the gamete of emotions and density. This planet offers a cornucopia of energy, possibility and adventure that far exceeds the magnitude of what most recognize. And yet, with all its wonders there are moments that one can hear the call of the stars and your home of origin. 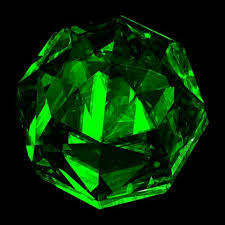 Moldavite is a link, a portal, an old friend and an access point to assist you in being in both places simultaneously. It is also a bridge to our knowledge, wisdom and talents from beyond. 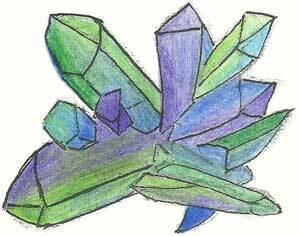 It is a stone, if drawn to it, that can open, cleanse elevate, strengthen and expand your entire chakra system. When ready and willing to allow self healing, Moldavite has been utilized to bring about amazing results in the renewal of most all of the bodily systems. It carries a unique range of frequencies that are capable of altering erratic energy and brain patterns thus allowing the body to 'recall' and 'reset' what is needed to bring about a more fluid harmony. We are always our own healer and... Source & mother earth have provided wonderful tools to help us along on our journey. Ones first experience with it can be astonishing... intense, profound and fully life changing and or it can be the calmest flow of energy that moves you into a new way of thinking, feeling, believing and acting. It will, in its own way, impact you. By including its frequencies in your life you are and will become even more. For me personally it has, from the first moment, been a stabilizing and grounding element in my life. I remember taking a deep breath and acknowledging that I was fully in my body and some how connected to home. Its radiance contains to do the same. For others, it may take gentle exposure and becoming interactive with the unique range of light, love, healing and yes friendship that this energy provides. If you would like to expand your personal insights even more, please read about Moldavite in "The Book of Stones" by R. Simmons.